KRSH 95.9 presents Tommy Castro & the Painkillers on Sunday, Dec. 31, at the Mystic Theatre & Music Hall, 23 Petaluma Blvd. N., Petaluma. 8pm. $42–$62; 21 and over 707.775.6048. BLUES ROOTS Tommy Castro’s new album fuses the blues with R&B. 'Nice to be home this time of year," says Tommy Castro, speaking from his home in San Rafael. The veteran Bay Area blues rocker and his band the Painkillers have just returned from back-to-back tours of the U.S. and Europe to promote their new album, Stompin' Ground. "We're looking forward to getting back to the Mystic Theatre on New Year's," he adds. For several years, the Tommy Castro Band was a staple at the Petaluma venue on New Year's Eve. Now, after a brief hiatus, Castro is ringing in the new year with the historic theater once again on Sunday, Dec. 31. 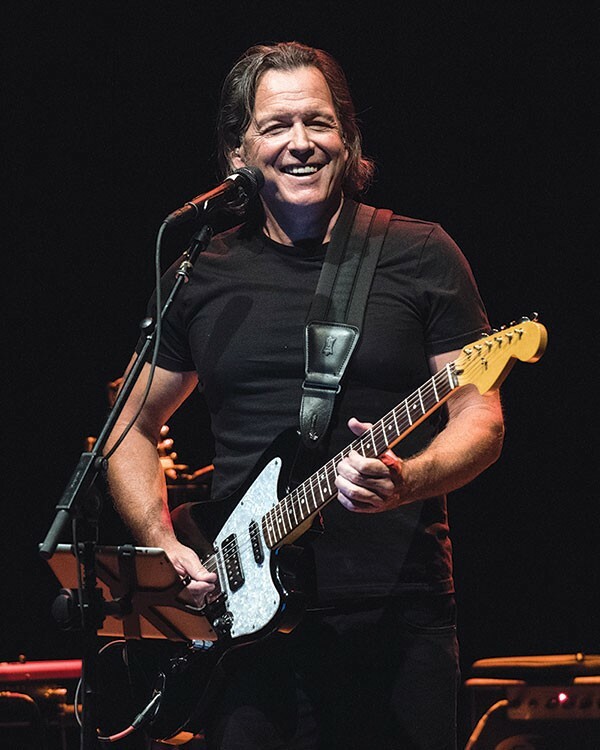 First forming the Tommy Castro Band in San Francisco in 1991, one year before the Mystic Theatre was founded as a venue, Castro feels an intimate connection with the Mystic. "There've been so many great nights of music there," he says. "We have a long history with the room and more importantly with the people." "I get sentimental now that I'm a gentleman of a certain age," Castro laughs. The 62-year-old songwriter's sentimentality also shows through on his new album, as Stompin' Ground is a window into Castro's origins growing up in San Jose in the '60s and '70s. After forming the Painkillers in 2012 with bassist Randy McDonald, keyboardist Michael Emerson and drummer Bowen Brown, Castro released The Devil You Know in 2014 and Method to My Madness in 2015, both of which were praised for their gritty, fiery blues-rock sound. Stompin' Ground mixes the blues Castro grew up listening to on the radio, the soul music he heard coming from the lowriders cruising the streets and the socially conscious message songs of the day. "I just started working on songs like I always do," says Castro. "As I was doing that, the album started to take on this theme of a certain time and place in my life." Lyrically, Stompin' Ground features a passionate streak of songwriting, with tunes like "Fear Is the Enemy," "Enough Is Enough" and "My Old Neighborhood" offering messages of introspection and inspiration. "And then there's just some cool, fun R&B songs," says Castro. Also featuring covers of Elvin Bishop and Buddy Miles, Stompin' Ground sheds light on how Castro's musical upbringing has had a lasting effect on his career. "I've listened to a lot of music in the last, what is it, 50 years now?" Castro says. "But I've always held on to the three core ingredients from that time: blues, soul and rock 'n' roll."